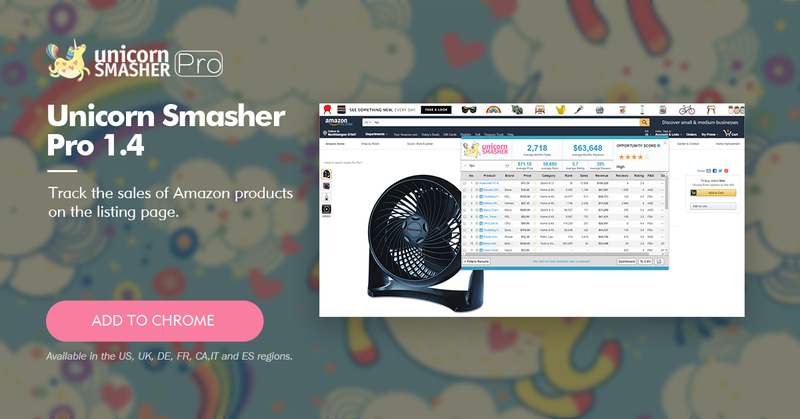 Unicorn Smasher Pro 1.4 has arrived!!! This update tracks Amazon sales of products on listing page, which is more convenient to you. Hope you will enjoy these features. Our dev team is working hard to make Unicorn Smasher the best product research tool on the market!